Residential and Dementia care home facilities are extensive. 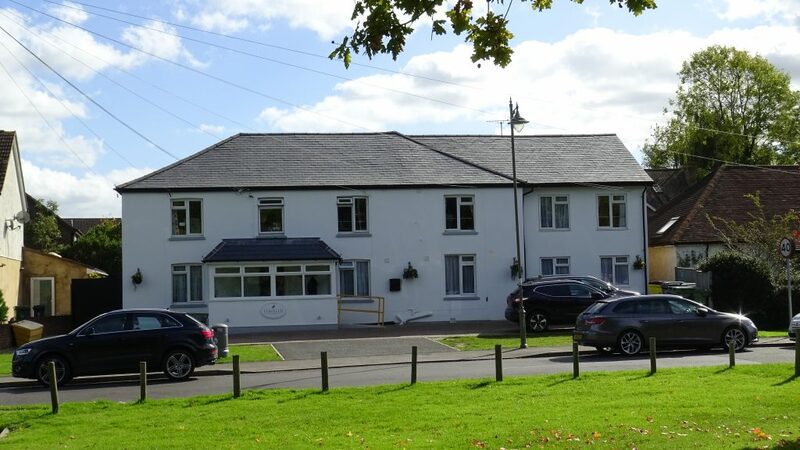 In recent years our residential and dementia care home has undergone significant renovations to improve the interior and physical appearance of the home. We have included a ground floor shower room, a new bathroom with a walk in bath, extended the kitchen and improved the laundry room. We then went on to add an additional 3 en-suite bedrooms, a larger lounge area, improved dining room, and new laminate flooring throughout the ground floor. And to top all of that, we put on a new roof. All of our standard rooms feature an en-suite with their own toilet and wash basin facilities. All beds are profile beds with handset controls to adjust the height and shape of the beds for personal comfort. Our rooms have 2 arm chairs, a wardrobe, chest of drawers, bed side tables with lockable drawer, a flat screen television which is wall mounted, and a table with lamp. Our rooms have 2 call handsets so residents can call for assistance at any time. We do encourage new residents to bring personal items with them, such as photos, pictures,or anything else that reminds them of home. For health and safety reasons any electrical items must be PAT tested before coming into the home. We asked our residents to help design a new garden, and what facilities would they like to see in it. There is now a large roofed gazebo as the centre point, which houses a large round wicker table, with many large cushioned arm chairs around the table. This all sits on top of artificial grass which makes walking easier. It also provides a neat and colourful exterior all year round. As the garden is south facing it can be quite a sun trap and therefore our residents enjoy being out there during the summer months, being shaded by the gazebo, whilst enjoying a cool drink and taking time to read a newspaper or book. In the large communal lounge residents can look out into the garden, they can watch the television, listen to music, read their newspaper or socialise with others. We have 2 large activity cupboards full of games, each day an activity takes place. Laundry is done on-site within 24 hours. Each resident has their own laundry basket and this is taken daily unless preferred otherwise. We request that clothing be labelled or initialled so that clothing goes back to the correct room. Clothing is dried and ironed before being returned to our resident. Residents generally bring their own towels, although all bed linen is provided. We have a visiting hairdresser who comes to the home each fortnight offering a range of services. She has competitive prices and is very experienced with the elderly clientele. Every 6-8 weeks we have a visiting chiropodist who attends to the residents podiatry needs, again at competitive prices. Vision call opticians attend Elmfield House twice a year to do eye tests for all of our residents. They are experienced in elderly care. Our residents have the opportunity to purchase new glasses as and when their vision changes. Elmfield House residential and dementia care home generally use West End Doctor’s surgery with whom we have an excellent relationship. The Practice Matron or GP will visit the home any weekday upon request and they create a medical care plan for each resident.